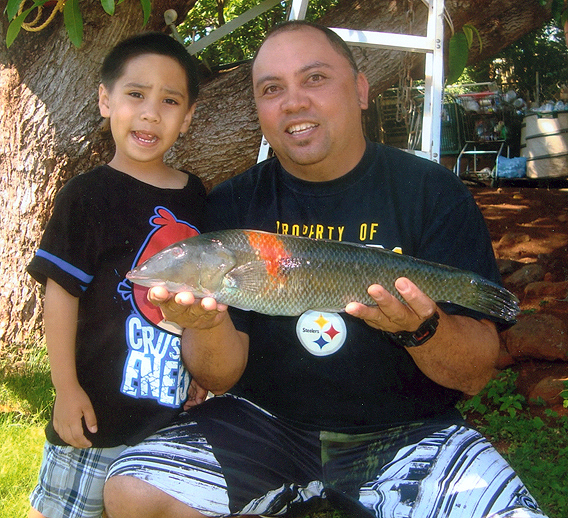 While shorecasting near Kahana, Maui, Russell Romo had a hookup on his 10-foot Shakespeare Ugly Stik. He fought the fish using 30-lb test on a Daiwa BG90 reel and eventually landed the biggest cigar wrasse he'd ever seen. The 2.33-lb state record fish had eaten a kupipi that Russell was using for bait.